The lights, the tree, some tinsel here, and pinecone there, for Christmas fans decorating seems almost instinctual. However, we have a few unusual and unique Christmas items you should consider adding to your holiday repertoire. LED string lights, while energy efficient and long lasting, can be tricky to diagnose when problems arise. 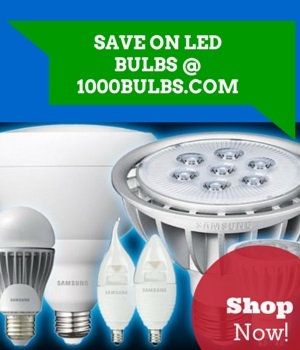 Unlike incandescent string lights, you can’t remove most LED bulbs. So what do you do when an LED refuses to light or the whole string is unresponsive? The LED Keeper is an LED string light tester, able to create a mini-circuit to illuminate the functioning sections of your light string. Once you find the problematic bulb, you can use the included bulb puller to yank that finicky bulb like a bad tooth. The bulb puller actually cuts the bulb and its attached socket out of the string. But have no fear, LED Keeper pods can be applied to fill the hole in your lights. Just untwist the cap and clasp both ends of the string’s wiring in your pod. Retwist the cap and rejoice as your lights come back to life. Do you like lava lamps? Then bubble lights are for you. Once commonly found on the Christmas trees of one’s childhood, these string lights use a 5-watt incandescent to heat the liquid inside the candle-shaped bulb. Similar to lava lamps, after the initial warm-up period, the heated liquid bubbles merrily. Coupled with the whimsical or elegant coloring, it’s like a welcomed blast from the past. We’ve all seen the classic Polyvinyl Chloride, or PVC, artificial Christmas trees before. The inexpensive, fluttering plastic fringe that is the trademark of PVC is no longer the only options for artificial trees. Polyethylene or PE trees are molded artificial trees. The PE plastic is injected into a mold to form 3D needles that more closely resemble a real tree. Although this method results in a more expensive product, the average shopper can purchase a hybrid tree made of PE tips with PVC branches filling the interior. The best feature about a hybrid tree is the faster setup time, less tedious fluffing (and occasionally scattering) of fringe to achieve that natural look. Aside from the energy efficiency and savings of switching to LED Christmas lights, color changing LEDs are just plain cool to look at. When you can’t choose your favorite color or want a dynamic display, these C7 or C9 bulbs have 5 LEDs allowing them to cycle gently between red, blue, green, yellow, orange, and purple. The number one most frustrating task of Christmas décor is untangling Christmas lights, but an exasperating runner-up would be installing those easily-snarled lights. For home owners with metal gutters and gates, setting Christmas lights up can involve an even more exhausting search for clips to cling to your steely façade. Thus the ingenious solution of magnetic clips was born! They are caps with magnetic bottoms that slip easily onto C7 or C9 intermediate sockets. If you don’t have aluminum gutters or a metal roof and also want the simple joy of tossing your lights up, buy flat metal washers and glue them at even distances to your gables and rafters. Make sure to use washers with enough iron in them, vinyl-covered or stainless steel ones won’t work, to avoid the daunting debacle of attaching sockets one by one. We hope our Christmas selection made your holiday décor a little bit merrier and a whole lot brighter. If you know of another magically convenient Christmas item to suggest or want to know more about the products mentioned above, leave us a comment in the area below. Send us pictures of your Yuletide masterpiece, lighting blunders, or just say hi on our Facebook, Twitter, Google Plus, LinkedIn, or Pinterest. The staff of 1000Bulbs.com sends you many festive greetings and hopes you’ll consider the possibilities behind some of the items on their wish lists: RGB tape light, motion sensors, and an eclectic collection of Christmas songs.